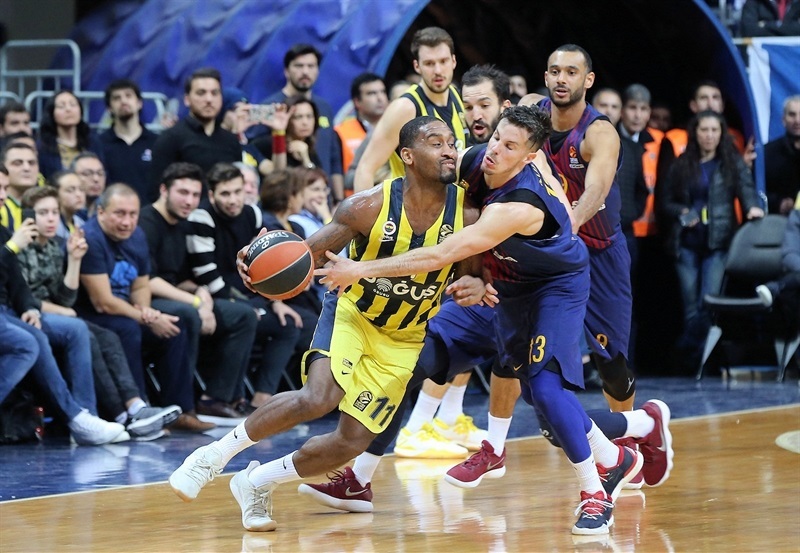 Fenerbahce Dogus Istanbul withstood a determined effort from visiting FC Barcelona Lassa to secure an exciting 86-82 victory, improving to 14-6 and taking exclusive hold of second place. 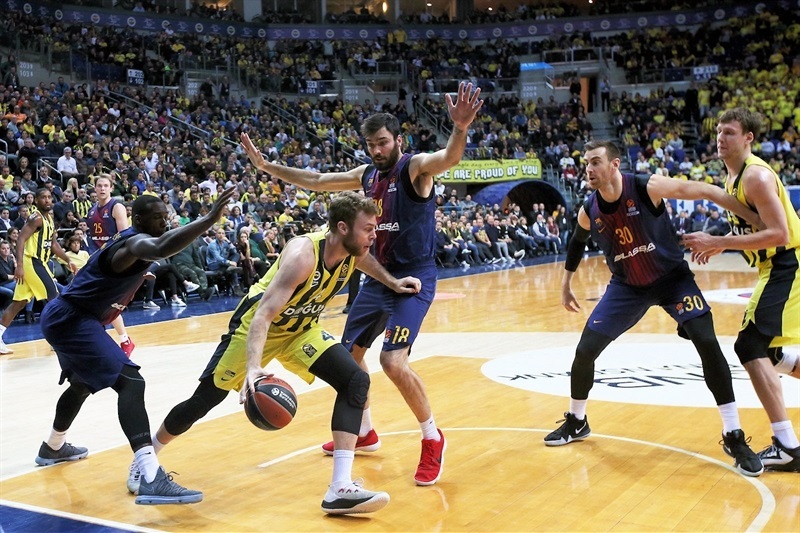 The reigning champion led most of the way but Barcelona – which is now 7-13 – wouldn’t go away without a fight, keeping the outcome in the balance until the final seconds. 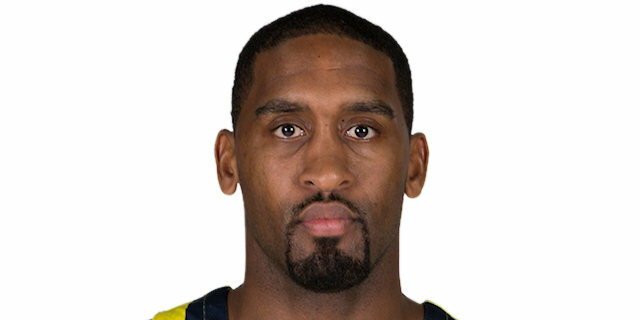 Two players in particular shone for the winning team: point guard Brad Wanamaker combined 24 points with 7 assists, and Nicolo Melli celebrated his 27th birthday with 23 points on 8-of-9 two-point shooting. 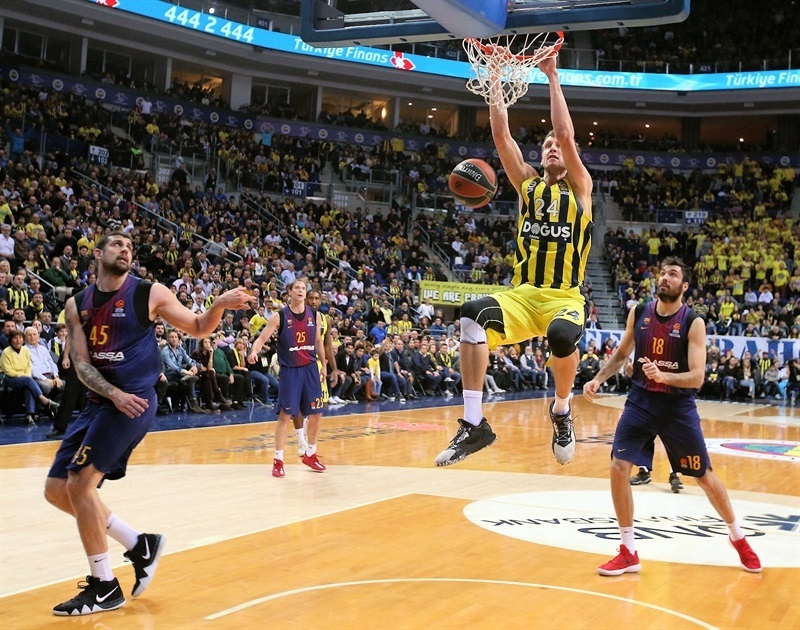 Jan Vesely added 12 points, 5 rebounds and 3 steals. Thomas Heurtel led Barcelona with 21 points, including 4-of-5 triples, and Ante Tomic contributed 20 points and 7 rebounds. 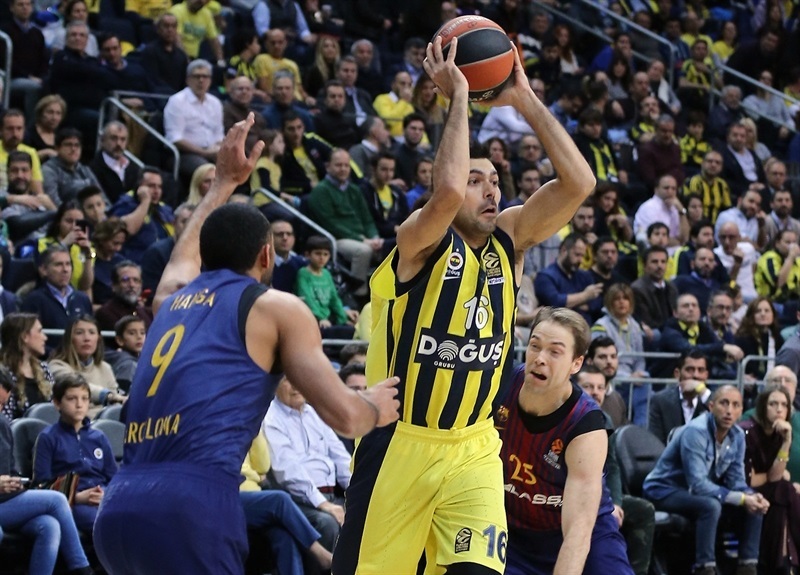 Adam Hanga, Victor Claver and Petteri Koponen all scored 12 points, with the latter making all four of his three-point attempts. 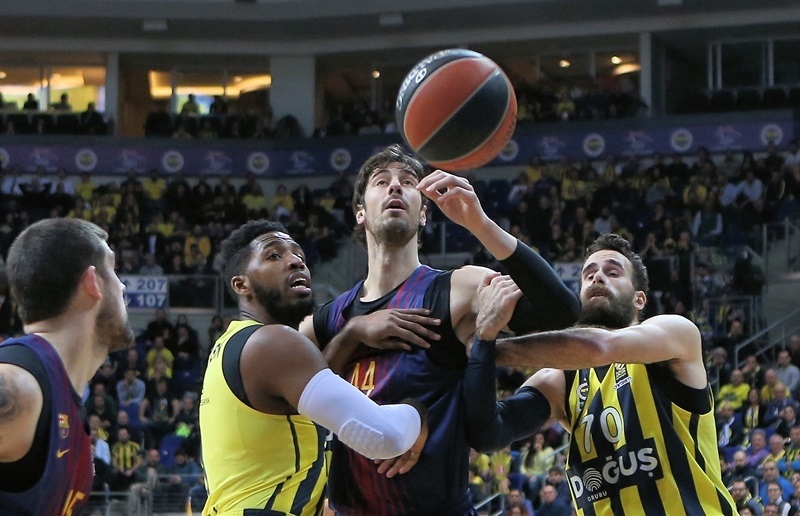 Barcelona made a confident start on offense, nailing triples from Hanga and Koponen, but Fenerbahce stayed close and took its first led through 5 straight points from Vesely including a showtime slam. Another Koponen triple and Pierre Oriola’s floater restored the advantage for the visitors, and a Claver strike from downtown completed a 0-8 run. Wanamaker made his second three-pointer to get the hosts moving again, and then scored two close-range buckets to retake the lead. After Claver’s mid-range fade-way, Wanamaker finished the first quarter’s scoring from the foul line, 22-18. Melli started the second quarter with a long two before Heurtel answered with his first points from downtown. Heurtel netted again either side of baskets from Marko Guduric and Luigi Datome, before Melli nailed a triple and a fade-away to make it 33-25. Melli threw down a slam before Hanga answered from deep, then Tomic scored consecutive baskets and Koponen hit his third triple for 38-37. 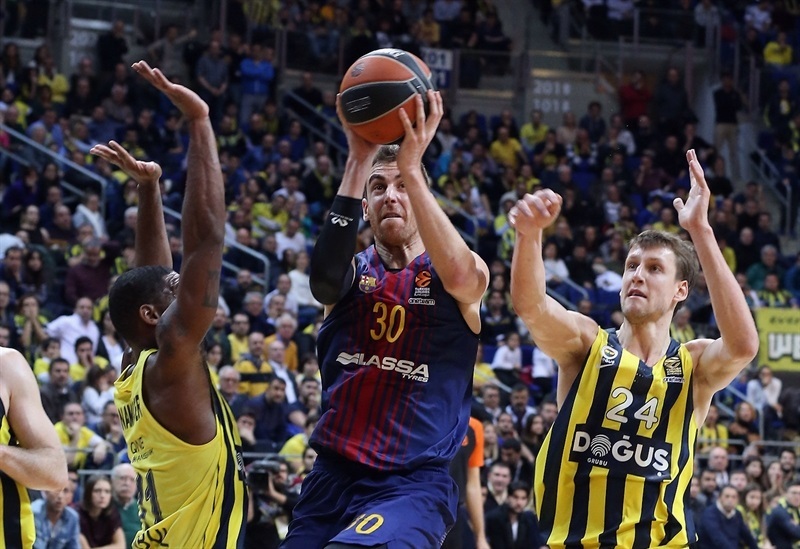 Hanga’s triple sent Barcelona ahead and Tomic’s free throws completed a 0-12 run. Melli ended the drought from the foul line and then exploded another dunk, making it 42-44 at half-time. 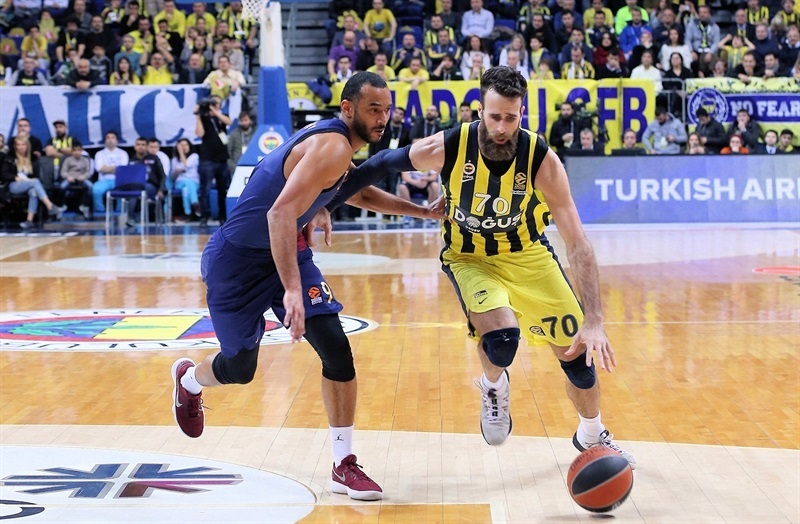 Fenerbahce started the second half with a 6-0 run as Melli netted again before he and Wanamaker added free throws. Koponen hit another triple to tie it up, and Tomic’s free throws sent Barcelona ahead once again. Another pair of baskets for Melli saw the lead change hands once more, and Wanamaker’s triple made it 55-50 after a 7-0 run. 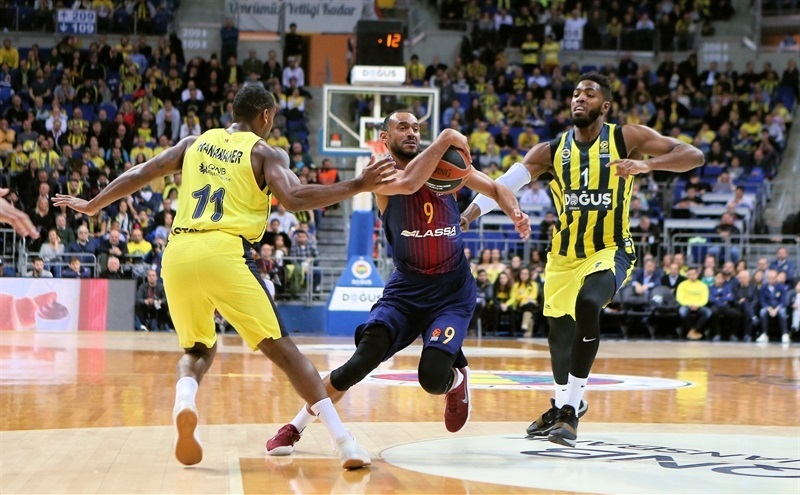 Heurtel’s floater got Barcelona closer but the visitors were struggling on offense and Guduric’s triple sent Fenerbahce further ahead. 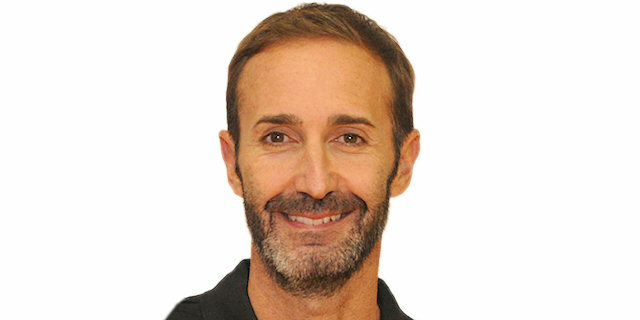 Melih Mahmutoglu added a three-pointer and a fastbreak lay-up, before Claver replied from downtown to make it 65-57 with a quarter remaining. 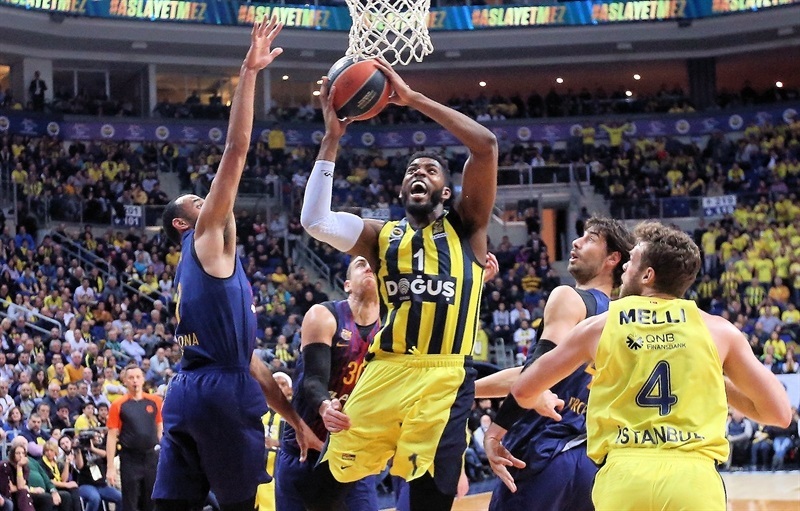 Guduric started the final period with a lay-up to give Fenerbahce its first double-digit lead, but Tomic’s lay-up-and-one and another Heurtel floater soon narrowed the gap. 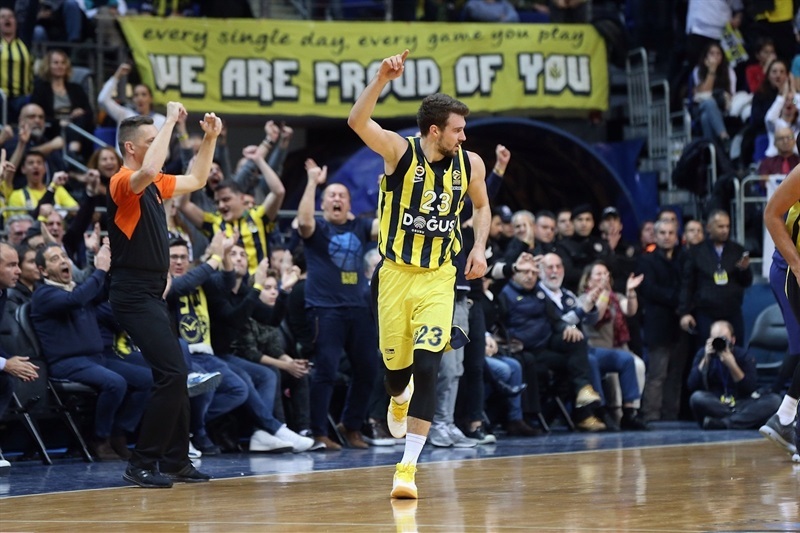 Kostas Sloukas’s first points and a Vesely basket settled the hosts, and those two players then combined for an alley-oop lay-up and a 73-64 advantage. Melli extended that with a lay-up plus foul, but Tomic netted free throws and a tough tip-in to keep the visitors alive. Heurtel’s big three made it 80-74 with three minutes to play, and Pau Ribas added a fastbreak lay-up as Barcelona threatened. Wanamaker free throws were followed by another Heurtel triple for 82-79, and the French guard split free throws to make it 82-80 with 11 seconds left. 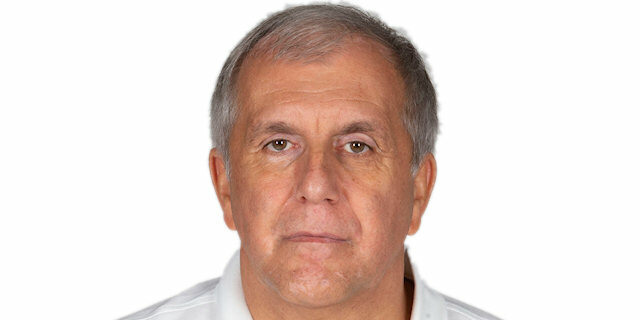 But Wanamaker and Sloukas made foul shots and that was enough, allowing Fenerbahce to squeeze home.